For this installation of Amsterdam Mama's Quick Guides, we're going to Zagreb, Croatia: an up-and-coming destination for families. Updated for 2019. Zagreb, one of the smallest capitals in Europe, is often overlooked. But this charming city has many secret gems. Zagreb is in Croatia, roughly 2 hours' direct flight from Amsterdam. Its popularity is growing and in 2016, it was awarded Best Christmas Market by European Best Destinations. The city center is not very big, so the best way to get an impression of Zagreb is on foot. You can start your walk from the center of Zagreb, the main Square of Trg bana Jelačića at the tourist information office, which is definitely a meeting point of the city. From there, you can start exploring the city in any direction: to the North to its Upper town; to the East towards the St. Stephen's cathedral; to the West to its famous Ilica street, filled with small shops, galleries and cake shops; or to the South to its newer neighborhoods. Head to Upper town, Zagreb's oldest area. You can still see the old walls and some of the Medieval city gates (Kamenita vrata) there. The center of this area is St. Mark's square where the picturesque little St. Mark's church is situated. It is famous for its roofing tiles with a display of the old Croatian and Zagreb's coat of arms. The Croatian parliament buildings are also located there. If you continue your walk to the South, you will come to the medieval Lotrščak Tower, which has a great view of the city. Be sure you are there at noon because the Grič Cannon, at the top of the tower, is fired. Next to the Tower Lotrščak is a funicular which you can use to go back to the main square, and one of the most important city streets, Ilica. Zelena Potkova (Green horseshoe): In the very center of the city, there is a group of parks in the shape of a horseshoe. If you walk through them, you will pass some of the greatest monuments from the19th and early 20th century. You can do what the locals do and take a break on a park bench and enjoy the sun and fresh air. Zagreb has a high number of museums! Many offer free children's workshops during the weekend. Tehnički Muzej: Besides having many exhibits such as old cars, fire brigade vehicles or planes, there are also workshops for visitors. You can learn about electricity through experiments in Tesla's Laboratory, visit the Planetarium (more appropriate for older children), or try something completely different and visit a mine. For the schedule of demonstrations and workshops, take a look at the museum's website. Muzej Za Umjetnost I Obrt: Situated in a beautiful palace in Renaissance revival style, this is one of the oldest museums in Croatia. Its collection of furniture, clocks, and clothes from the Middle Ages onwards will definitely be interesting to children. Look on the website for the free children's workshops, usually organized at weekends. Zagreb is a green city with a lot of parks, trees and children playgrounds. Dating back to the 18th century, Maksimir is the oldest public park in the city. It's huge, so you can spend the whole day there. Children find the Echo Pavilion especially interesting. The city zoo is also located in Maksimir park. It is not very big but it has a lot of different species. There is also a feeding schedule and other activities. Worth a visit. Botanički Vrt is part of the Green Horseshoe park system and is also a botanical garden. Open from April until November, it offers a little oasis of exotic trees and flowers in the very center of the city. There is no entrance fee. Bundek & Jarun are situated outside the city center, but these two large parks are reachable with public transport. Bundek has a huge children's playground and many barbecue areas, so it's a great place for a picnic. Jarun is more sport-oriented; it has a long bike and rollerblading track, rowing lanes, and also many places to picnic. Outside the City: There is a long tradition among people from Zagreb of climbing to Medvednica Mountain during the weekends. There are different paths that vary in difficulty, and will usually lead to nice mountain restaurants serving traditional food. They are usually very child-friendly. The old Medieval fortress Medvedgrad is also located there. Coffee time! It's always coffee time in Zagreb. You will see that café terraces are always full of people chatting and drinking coffee. Enjoy this local custom; take a little break and have your cup of coffee at any time. Most of the restaurants in Zagreb offer nice food and have children's menus. What they mostly don't have are baby changing rooms, but you can always ask a waiter for a quiet, clean place where you can change or feed the baby. 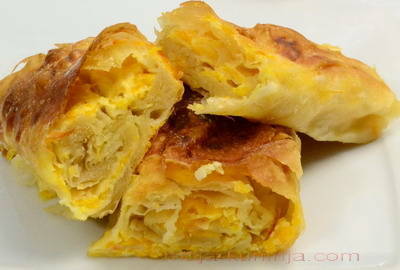 Dinara is one of the best bakeries in town and offers a lot of traditional pastries. 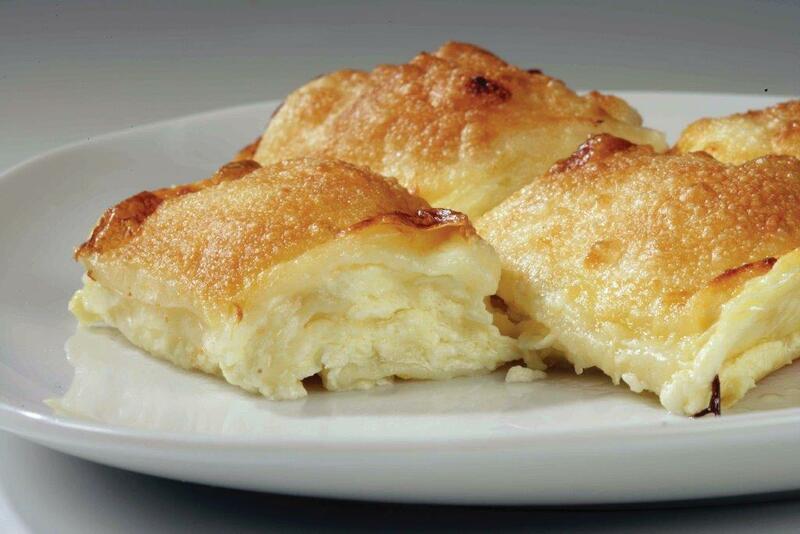 Try some of the local specialties here such as štrukli, bučnica or čupavci. You will definitely come back for some more. And kids will love it too. Cottage cheese has a special place in the hearts of the Zagreb residents. You can buy freshly made cottage cheese from the local villages at one of the city's markets. Dolac market has some of the best, but be sure to get there early. Going around with a baby in a stroller can be a bit challenging. Public transport is usually packed and there are lots of steps without any elevator. Children up to 7 years old don't need a ticket on public transport. If you want to explore the city center with kids, the best way is on foot. The only exception is the funicular. It's a short ride, but a unique experience and a lot of fun for kids. Looking for family-friendly accommodation in Zagreb? Book your stay via booking.com/amsterdammamas and we'll receive a portion of the reservation value. Find the perfect accommodation for your family and support Amsterdam Mamas at the same time! Tea Gudek Šnajdar is a travel-addict and mum to an adventurous little boy. She writes about art, culture, traveling and expatriate experiences on her blog CultureTourist.